The soccer news starts with the USMNT trying to keep their 2019 win streak alive against Chile tonight in Houston (8pm ET - ESPN2). 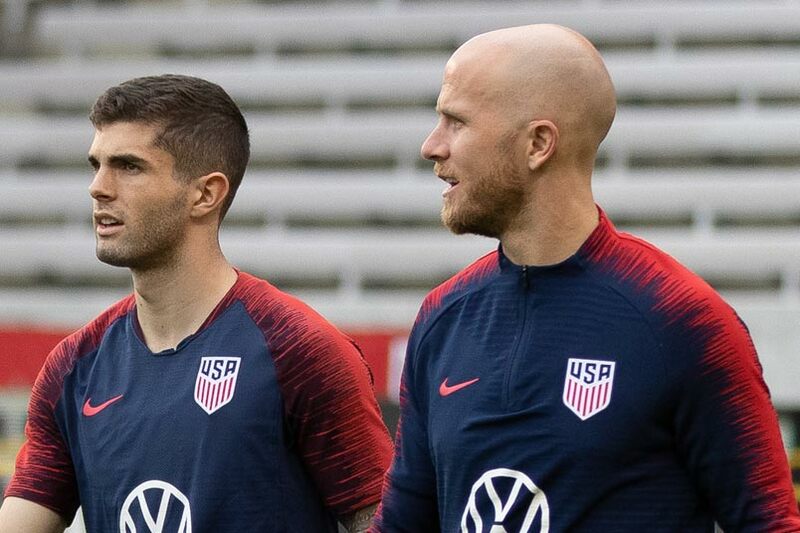 USMNT coach Gregg Berhalter is installing a new system that has worked with a variety of USMNT players. That will continue at BBVA Compass Stadium, with Berhalter already saying he plans on using a different lineup than the one that beat Ecuador last week in Orlando. With that in mind, here are three things to look for. Weston McKennie is lost to an ankle injury suffered against Ecuador and Tyler Adams has returned to RB Leipzig. Both started the last game, part of the contingent of Bundesliga midfielders that may be crucial for the USMNT moving forward. How the USMNT adjusts against a stronger opponent is the major story for the Chile game. The USMNT created plenty of opportunities against Ecuador, but that didn't lead to shots on goal. Improving from the two they took in Orlando should be part of the game plan in Houston. Berhalter has already announced Club Brugge's Ethan Horvath as the starting goalkeeper. Horvath takes over from Sean Johnson, who got the shutout in Orlando. With Berhalter not calling in Brad Guzan and Zack Steffen picking up an injury in an MLS game, March turned into an opportunity for Johnson, Horvath, and Jesse Gonzalez. For Berhalter as well, giving the coach the chance to build a goalkeeping depth chart. Johnson didn't have to make a save in his shutout. It should be trickier for Horvath, known for keeping his teams in games. Club Brugge finished 2nd in the Pro League regular season with Horvath retaking the starting job. What he's shown this season in Europe is that he is a competitor. That can only help his chances with the National Team. It's not just this summer's Gold Cup putting games on the schedule for the USMNT. On Wednesday, we'll know who they play in their Nations League A group this fall. The draw for the Nations League takes place in Las Vegas at 10pm ET with the USMNT knowing they won't play the other pot 1 teams Mexico, Costa Rica, or Honduras. That leaves Panama, Canada, Haiti, and Trinidad & Tobago in pot 2 with Martinique, Cuba, Curacao, and Bermuda in pot 3. What we don't know is how important the Nations League really is to the participants or the fans. For the USMNT technical staff, it's an opportunity for games that count and tougher competition should they advance to the semifinals this time next year. For any team looking to push forward, games that count are a priority. That might not be good news for the other teams drawn into the USMNT's Nations League group. Soccer America's Paul Kennedy previews the USMNT vs Ecuador friendly. ESPN's Jeff Carlisle looks at Berhalter's lineup choices. SI's Avi Creditor on the USMNT's possession percentages. Pro Soccer Talk's Nicholas Mendola focuses on the lineup without Adams and McKennie. Also in the soccer news, after playing in a reserve game for new club Hibernian, USMNT player Jonathan Spector is working towards debuting with the first team. "I am here and I am hoping to help the team in anyway that I can," Spector told the club's official site. "I wouldn’t expect to go in and start automatically. The team have been doing pretty well and have been on a great run of form. The lads have been playing really well. I am here to help in anyway that I can. I want to get some games, every footballer wants to play, so that is ideally the target. I want to do whatever I can to help the team." Hibernian is in 6th-place in the Scottish Premier League, two points behind Edinburgh rivals Hearts after 30 games. USMNT player Emerson Hyndman played on loan with the club during the first half of the season.